In the words of Tyanni Douglas, the son of former PM Rosie Douglas, the socioeconomic situation in Portsmouth can be described as a” human crisis.” Several weeks ago a team of MiTC reporters took a trip down to Portsmouth where our team interacted with a number of residents. From our own findings the pain and the depression in Portsmouth is indeed of great concern and we now understand why the PM is now desperately conducting back to back Red Clinics in the town of Portsmouth. The people of Portsmouth may not be as vocal as they should but the burgeoning unemployment coupled with the flood of Haitian refugees in Portsmouth is taking its toll. In this moment of agony it may seem graceless or insensitive to remind the people of Portsmouth of their foolish loyalty to a gang of wolves who for 19 years have offered them nothing but failed economic policies, unfulfilled promises and an overdose of mendacity. In fact 8 out of 10 people in Portsmouth today will proudly declare that their parliamentary representative Ian Douglas (Tu Ju Su) is a waste of time and through 3 election cycles a vote for Ian Douglas had been a vote for Roosevelt Skerrit the parliamentary Representative for the Vielle Case constituency. Since a vote for Ian meant a vote for Skerrit are the people of Portsmouth willing to accept that the “human crisis “ now occurring in Portsmouth is the handy work of Roosevelt Skerrit the con artist? Will the Portsmouth people finally remove those convenient blinders and stop allowing themselves to be used by a group of self-serving kleptocrats headed by a conniving imposter. Young Man- Sharle (Shall) that tie his cow inside their wee. At the moment we thought the young man was asking us for permission (Shall) to tie his cow on the compound so our response was. MiTC – Sir we are not representatives from the government we can’t give you permission to tie your cow on the compound. Young Man- “No I am not asking you to tie my cow inside there nuh, what I am telling you is that there is a man by the name of Sharle, he is the one that ties his cow inside the coffee factory. By the time we understood that “Sharle” was an individual it became clear to us that the young man wanted to exculpate himself from what he thought we had seen inside the abandoned coffee factory. 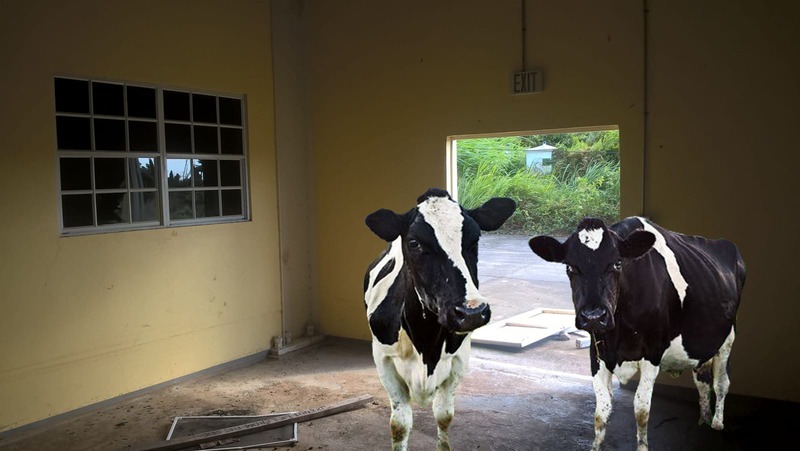 The sad truth is we saw signs that cows were being sheltered inside the abandoned coffee factory. 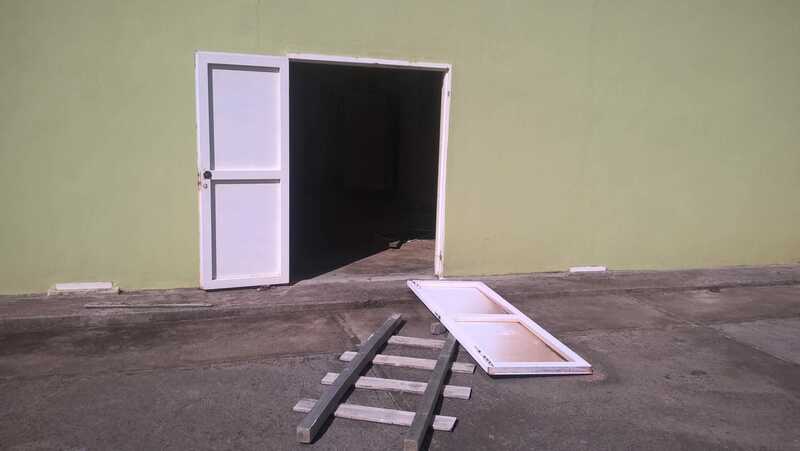 In addition to the disgraceful and unsightly abandonment of brand new and never used coffee processing equipment , broken doors, missing roof there was evident of cow down(cow poop) on various sections of the coffee factory building. 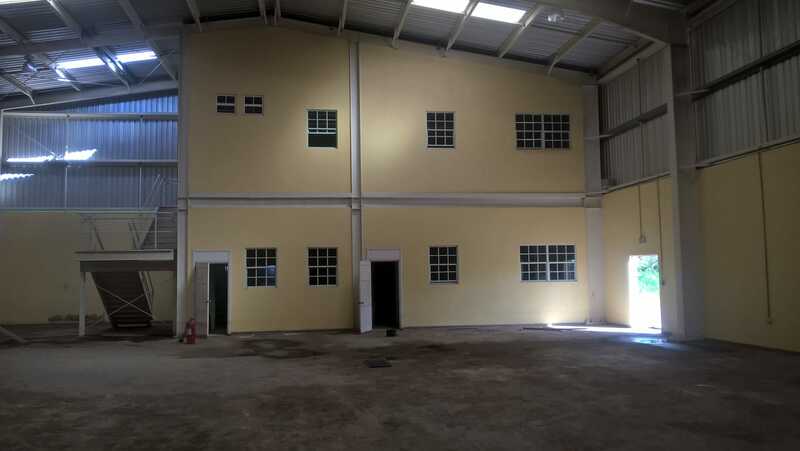 The story of cow poop in the abandoned coffee factory at One Mile Portsmouth is again another example of the total let down and the afflictive failure of the Roosevelt Skerrit administration to provide economic security for the people of Portsmouth and surrounding. 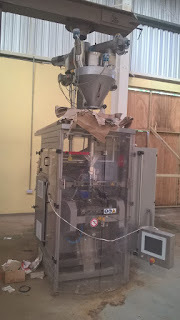 The Coffee factory was a US $12 Million gift by President Hugo Chavez. This gift was supposed to emulate the economic model of the famed Blue Mountain Coffee , one that would sustain large scale employment and economic opportunities not just for the people of Portsmouth but for coffee growers throughout the island. 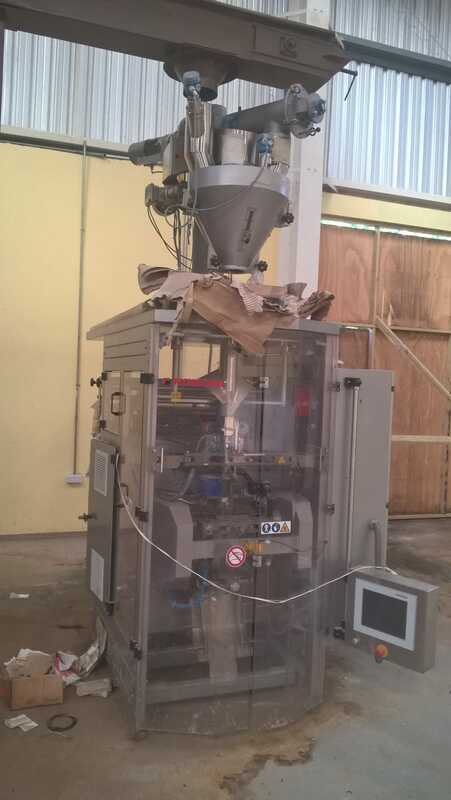 MiTC has done several articles on the coffee factory. We have exposed the corruption and money laundering that took place during the construction of the facility. There was high day disappearance of over a hundred thousand dollars’ worth of building material from the construction project and there were a number of letters and inquirieson this matter within the ministry of agriculture and the PM’s office and Dr. Toussaint as DLP operative and main Liaison for the VENIDOM Corporation is yet to explain how the material disappeared. We also reported on the movement of cash in and out of the airport by some of the Venezuelans who were connected to VENIDOM and the construction of the Coffee factory. We know that Custom and Port security at the time were programmed to “Walk with their Eyes close” as the Venezuelans moved briefcases of cash in and out of Dominica. The VENIDOM Corporation is a body made up of Labor Party cronies and corrupt accomplices of the Maduro cabal. The corporation was set up to manage and operate the coffee factory. From what we have seen in all our investigations the VENIDOM Corporation is nothing more than another setup for these corrupt and selfish operatives to enrich themselves using the Petro Caribe program as the conduit to launder cash. What we have also noticed is that the VENIDOM Corporation is inextricably tied to Reginald Austrie’s proverbial tattoo, the Petro Caribe operations in Dominica. We know for a fact that it was Venezuelans wearing Petro Caribe uniform who came to Portsmouth to ask the Samaritan Purse to vacate the coffee factory building after the Samaritan Purse was given permission to store hurricane relief material inside the coffee factory. After 8 years, US $12 Million in construction funding and over $5 Million in imported coffee beans, not one coffee bean has been processed at the facility in Portsmouth. According to the DLP apologists the coffee factory was supposed to bring considerable economic relief to the area. In fact at a 2013 debate at the Dominica State College, the former Ambassador to Venezuela Dr. Philbert Aaron argued that the geothermal plant and the coffee factory would be the only way forward for the Dominican economy. Needless to say both the coffee factory and the geothermal plant have been absolute failures. A good Doctor and patient relationship should include open discussion on causative issues and the preventative measures. As the people of Portsmouth are being set up for the one day fixes at Skerrit’s Red Clinic, they should be prepared to ask the Red Clinic doctor to explain why it is that after seven years, the Coffee factory has not processed one grain of coffee and has not provided the economic health benefits that were promised – not even one of the 300 jobs promised. Mr. Skerrit, the Red Clinic Doctor and medicine dispenser should also be asked to explain why after 11 years the Morocco hotel in Portsmouth is yet to be completed. 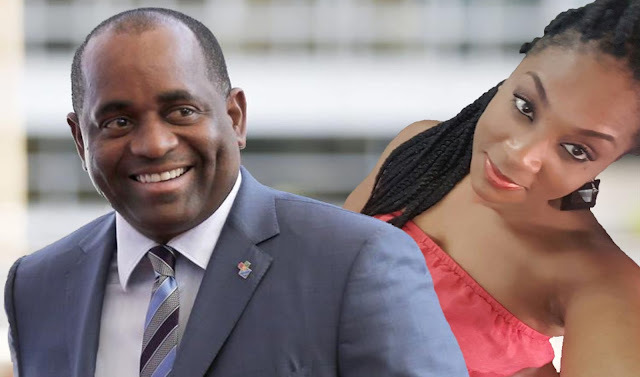 It would also be quite appropriate to ask Mr. Skerrit to explain how he was able to complete 8 Villas in Savane Pailles and one mansion in Vielle Case within a five year period whereas his government cannot complete an 80 Room hotel in 11 years. The Red Clinic doctor should also explain how in just a few months he was able to bring in all his marble and some other architectural finishes for his private dwelling house all the way from Morocco whereas it is now more than 5 years since Ian Douglas told us that the Moroccans left Dominica to get the architectural finishes for the Morocco Hotel project. It would be great if the young people would ask the Red Clinic Doctor to also explain how it is that for almost 20 years of a DLP administration, the Cabrits Cruise Ship facility sat as a white elephant in the town of Portsmouth-the most loyal Labor Party constituency. The Red Clinic doctor should explain why there were no improvements let alone expansion of the facility so the people in Portsmouth and it’s environ could enjoy the fruits of a vibrant and healthy cruise tourism sector. Today the cruise ship facility is in a dilapidated state with a leaky roof and unkempt condition. It is quite disheartening and shameful to say the least. The Portsmouth people have also been told that 4 other Universities have expressed interest in the Ross University campus. It is quite interesting that while the people of Portsmouth have been promised 4 other Universities, the 8 Villas allegedly owned by the Red Clinic doctor and which served as residence for Ross University professors and other administrative personnel have allegedly been sold to a mysterious buyer. If the police would let me in to see the Red Clinic doctor I would ask him why he sold the villas while other rental owners in Portsmouth are suffering; god forbid some on the brink of suicide. Is it true Roosevelt sell villas to range development under bubbles nose?